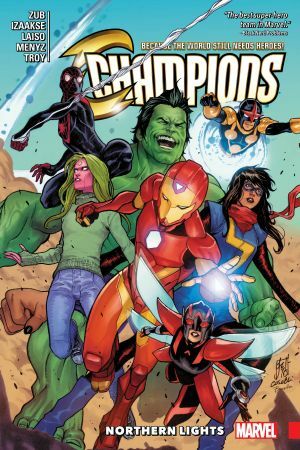 Collects Champions (2016) #19-21 and Infinity Countdown: Champions #1-2. 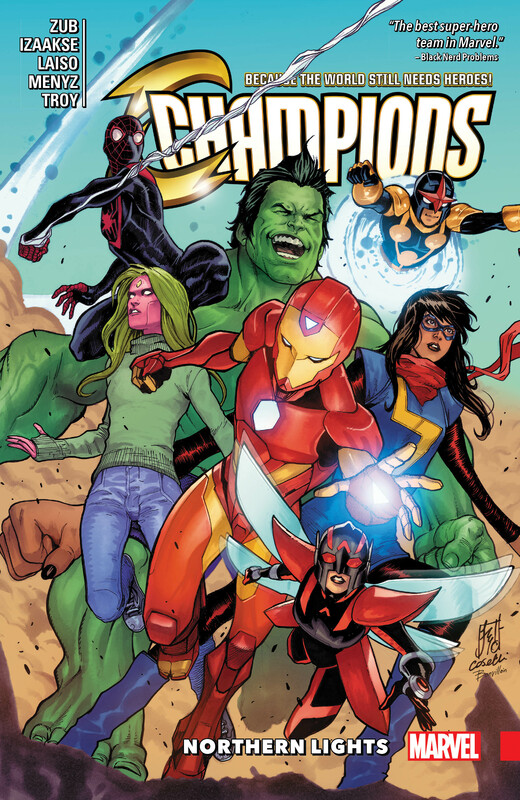 A fresh era begins as Ironheart and the Unstoppable Wasp join the Champions! The team has grown, but the mission stays the same — fighting to make the world a better place for all! But the super villain known as the Master has plans, too: he’s determined to save Earth from itself! 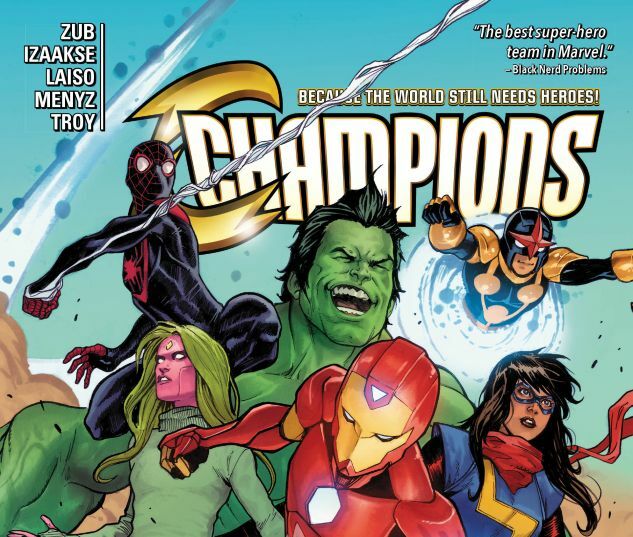 And the Champions are going to…help?! But the Champions are on a collision course with Alpha Flight! Could Ms. Marvel have to battle her idol, Captain Marvel? And who is the new hero Snowguard? Plus: Nova no more?! And the events of Infinity Countdown are felt as the battle for the Power Stone sends the Champions into outer space, where they’ll fight for — Thanos! Strange allegiances and sacrifices will be made…and one young hero is about to lose everything.